These days there are a lot of activity trackers available, read on to make sure you get a quality activity tracker. It has to be dependable, durable, and to offer all of the necessary features to get information about your daily activity and health. A good fitness tracker can count your steps, calories, and distance traveled. Therefore, we’ve made our picks for the 10 best activity trackers of 2017. We’ve chosen products that are best-selling and highly rated by buyers in addition to meeting the criteria above. Here, we’ve highlighted five of our picks for the best activity trackers and compared them to each other for easy viewing. 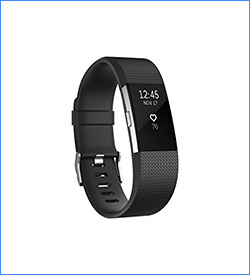 This is a very popular Fitbit model online. The Alta is simple and sleek, water-resistant, and easy to use. It’s compatible with most iOS, Android and Windows devices. It tracks your activity and exercise as well as your sleep. However, it doesn’t track your heart rate while you work out, but it can handle texts and calls. It also has an idle alert. This Vivosmart activity tracker from Garmin includes all the standard features you love in a fitness tracker: running stats, daily activity stats, and heart rate monitoring. It also includes a sleep tracker and GPS integration. It’s water-resistant up to 50 meters and comes in two sizes to fit snugly on your wrist. It syncs automatically, and the battery will last for up to 5 days. 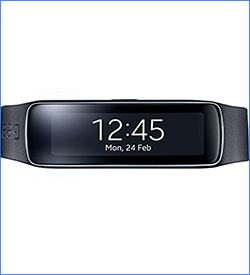 The Samsung Gear Fit is only compatible with Samsung devices, but if you have a Samsung smartphone or tablet it will work well for you. It’s affordable and the battery lasts for up to 5 days. 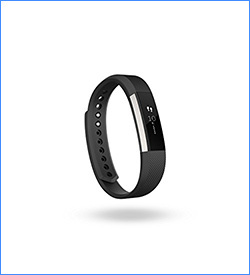 It tracks your activity and allows you to make fitness goals. It also tracks your heart rate and allows you to take calls and messages as well as set alarms. 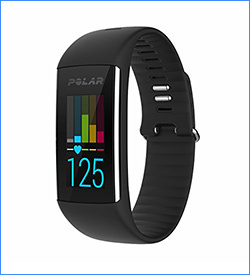 The Polar A360 comes in different colors and sizes, so you can customize it for your wrist and style. It includes vibrating notifications for texts and calls, all the standard fitness tracking measurements, a sleep tracker and a heart rate monitor. There’s also an inactivity alert, so you know when you need to get moving again. This tracker also comes with interchangeable colorful bands. 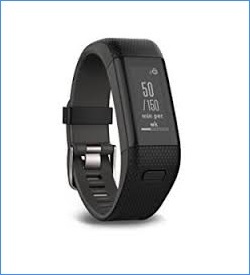 The Fitbit One has a lot of reviews online, being very popular due to the perfect combination of affordable and effective. Not only does it use all standard metrics to track your activity and fitness — like your sleep, steps, calories burned and so on — but it also syncs seamlessly with the app and allows you to set goals and view your progress towards them. 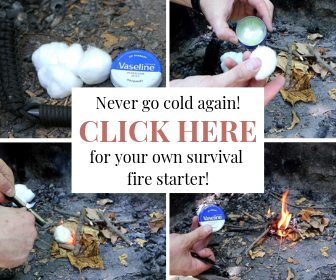 It works with iOS and Google Android. 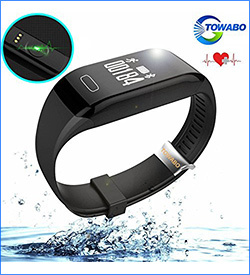 The Towabo is a highly-rated product that works with iOS and Android. Also, it includes all standard smartphone features like text messaging and social media; as well as tracking fitness measurements, such as steps taken, calories burned, and distance. And, what’s best, it reminds you when you’ve been sedentary for a long time. It also includes a sleep tracker. 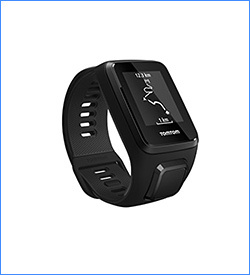 This is a great activity tracker for the price. 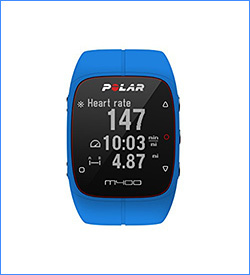 The Polar M400 comes in a few different colors and it includes built-in GPS technology, a fitness tracker and trainer, heart rate sensor, and a connected app. Using the app, you can develop fitness targets. The activity tracking function is pretty accurate, and the watch is easy and intuitive to use. All these features make it one of the best activity trackers on the market. TomTom offers the Spark 3 in two different sizes and in three different versions. You can buy a simple GPS watch with an activity tracker, or you can opt to include a heart rate monitor or the ability to play music. The latter option would be great for those who like to run with headphones, while the former is ideal for those who need to track their heart rate while they work out. It measures all the usual fitness stats for multiple sports, as well as water sports working great under water. 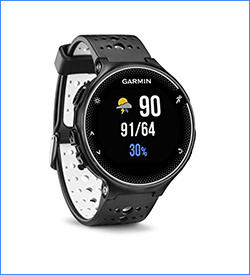 Check out our list for more waterproof fitness trackers options. 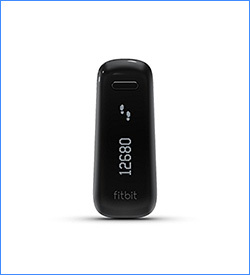 Fitbit is perhaps the most well-known among the best activity trackers, and they offer some options that are both affordable and worthwhile. The Charge 2 includes GPS for tracking your runs, tracks your activity all day, and allows you to track your sleeping and set alarms. It’s compatible with texting and calling notifications and also includes a heart rate tracker. Also, it’s water-resistant. 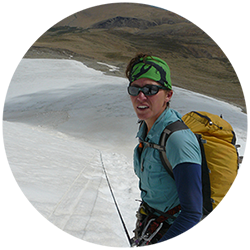 Garmin is one of the most well-known manufacturers of activity trackers. Many of their best trackers are expensive but this one is actually at a good price that won’t break the bank. It is a popular and high-quality option. This tracker includes standard features like step- and calorie-counting, notifications, and vibration alerts. It also includes audio prompts to let you know your lap times, so it’s perfect for runners. This unit does not include a heart rate monitor, however, for that, you can check out our list with some of the best heart rate monitors. These 10 best activity trackers won’t put an unsightly dent in your budget and will allow you to get a handle on your health and fitness. Using these trackers you will be monitoring your daily activities as well as getting more data out of your exercise and outdoor routines. Some of them can even help you if you get lost while out on the trail. What’s your own favorite activity tracker for 2017? We want to hear all about it below!